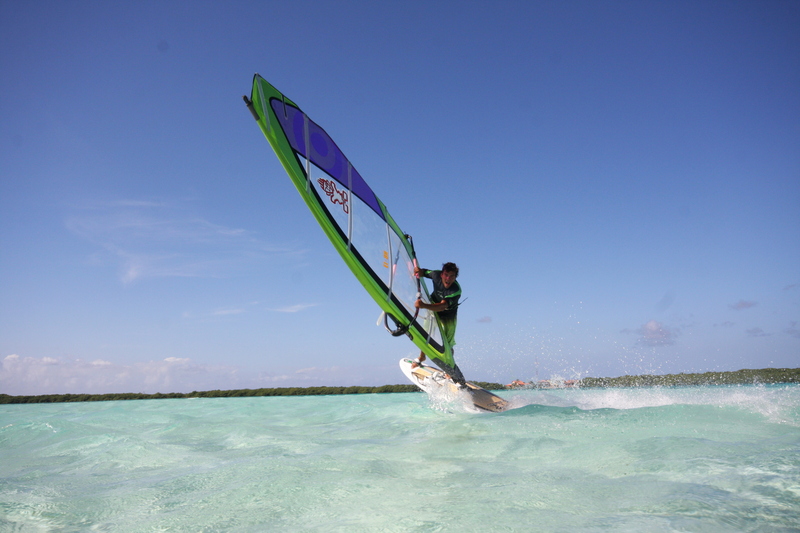 I have recently inspected Bonaire’s premiere windsurf property, Lac Bay Villa. 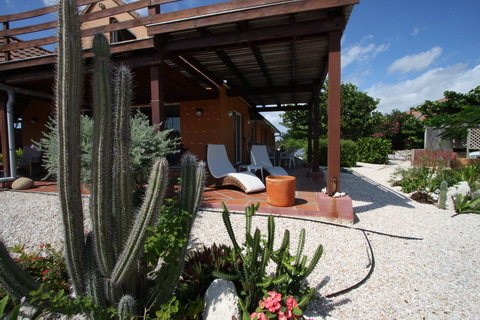 This is truly Bonaire’s only windsurf villa nestled at the base of Lac Bay. The villa affords splendid views of the windsurf “playground” and enjoys refreshing trades blowing constantly. The owners are windsurfers thus have created a windsurf oasis. There is a star gazing deck by night or a sunning platform by day. The gourmet kitchen is perfect for entertaining. There is an kitchen island for entertaining. The property comes with high speed internet, AC in the bedrooms and all the comforts needed for a windsurf getaway. There will be a new management team on board and Caribbean Wind & Sun Vacations will be the US representative. Watch for a press release soon. The following photo essay is from Carol Hibdige of New Forest. She lives part of the year in Bonaire with her windsurf family, husband Trevor, a speed freak (as in using his GPS), musical freestyle talent and youngest son, Nic and handsome and also very fast sailor, Sam. 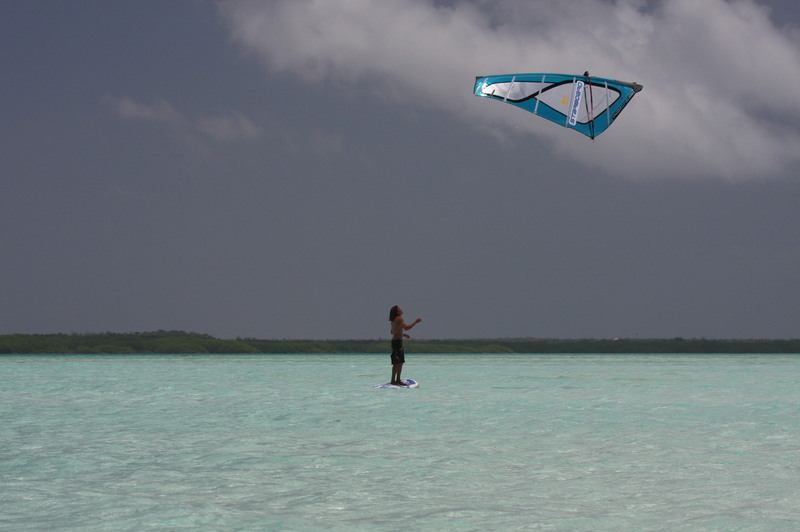 They own Lac Bay Villa, one of Bonaire’s best windsurf getaways. The villa offers pristine views of the bay and is a windsurfer’s dream. I am lucky to call the Hibdiges friends and have enjoyed many a dinners at the villa. You may book this villa by contacting Caribbean Wind & Sun Vacations :ann@bonairewindsurfing.com or calling 800-219-0118 US. Carole’s photo essay is of Caesar Finies, one of Bonaire’s best talents. His specialty is light wind freestyle. Enjoy!